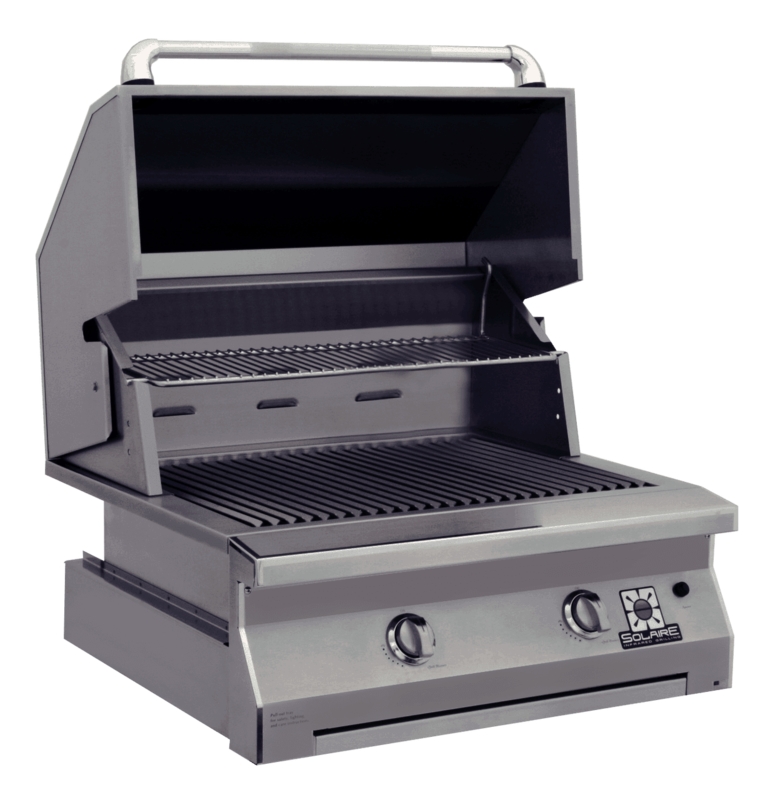 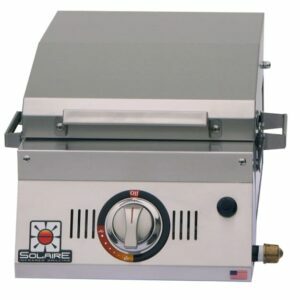 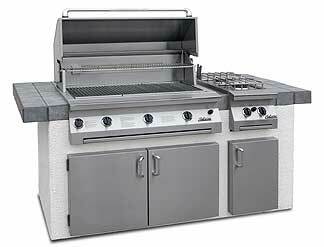 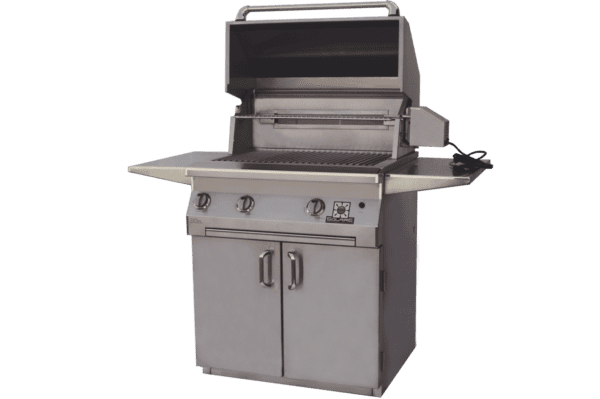 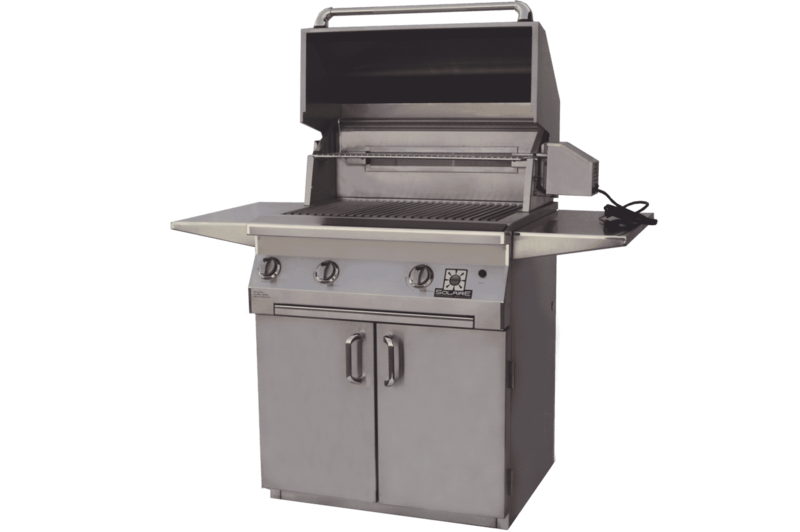 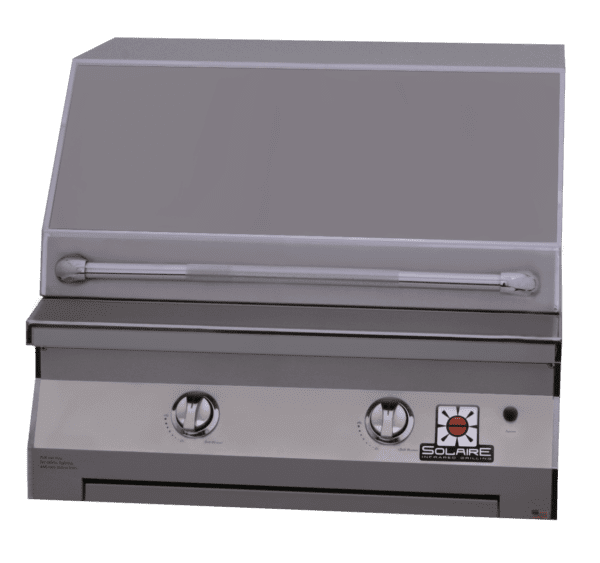 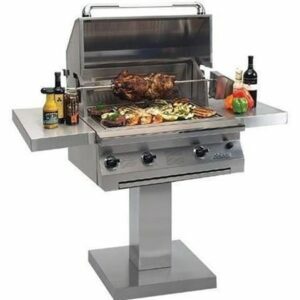 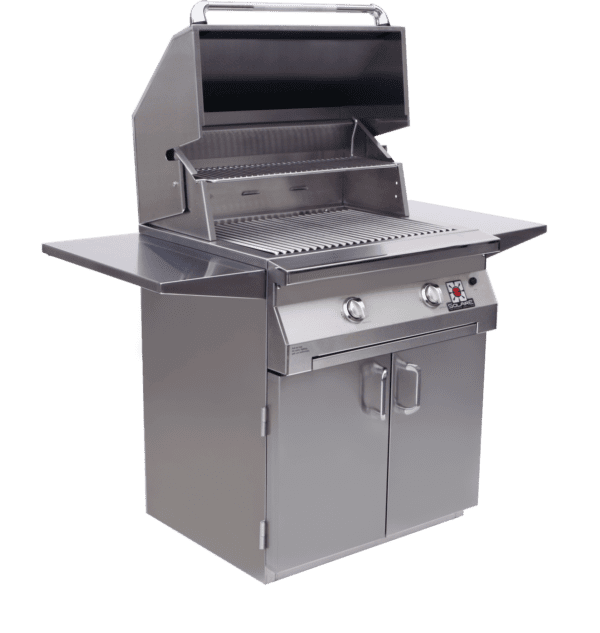 • Two main burners at 55,000 BTU/hour; AGBQ model includes 14,000 BTU/hour rear infrared rotisserie burner and includes rotisserie motor, spit, forks, counterweight. 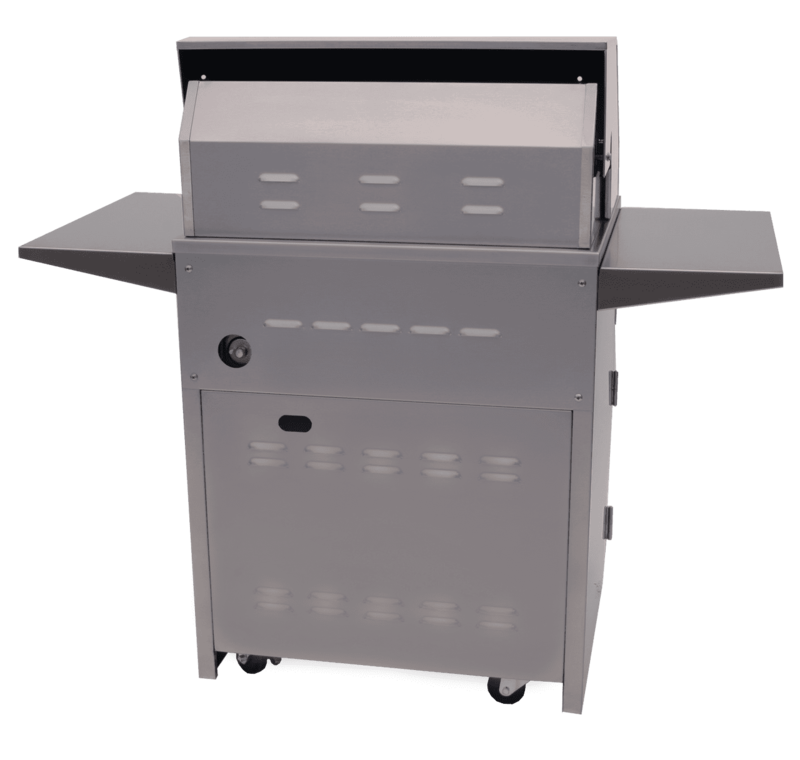 • Folding side shelves on cart and post bases. 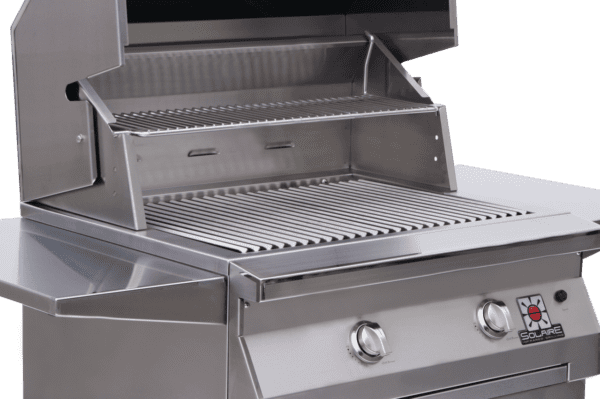 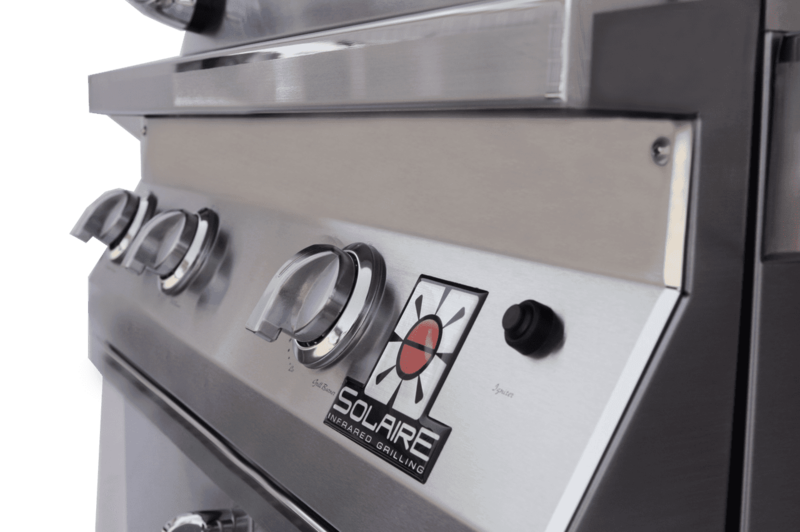 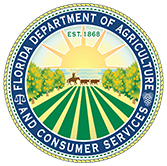 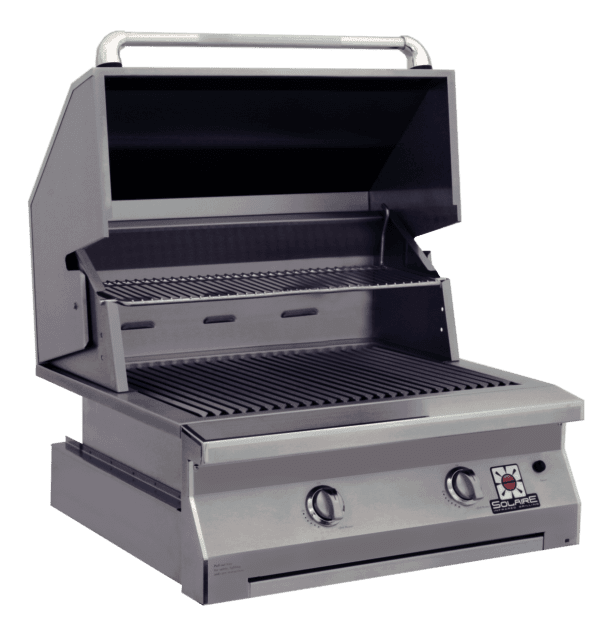 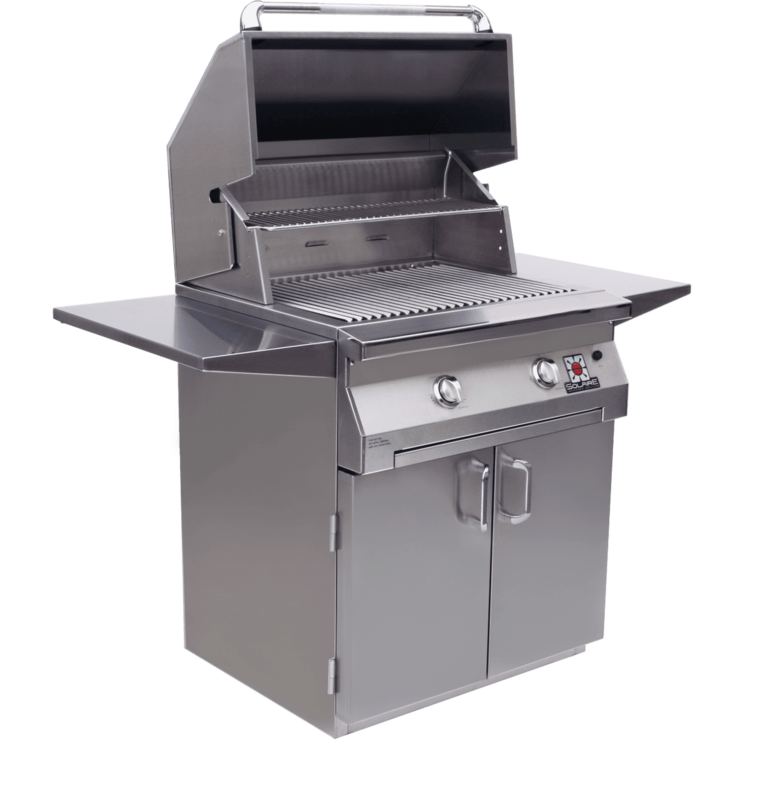 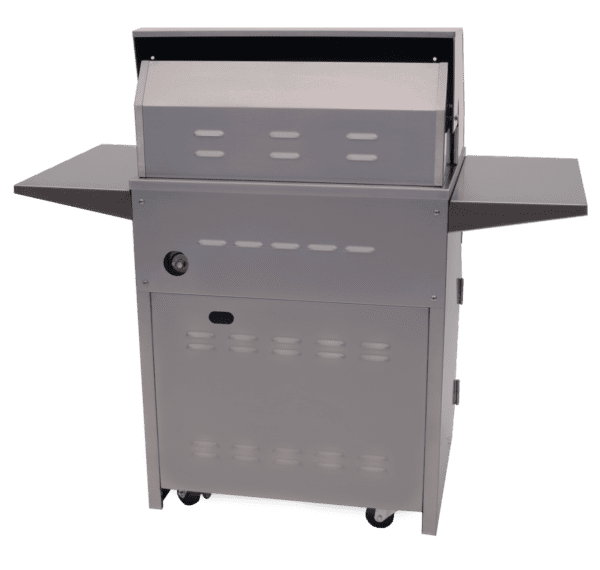 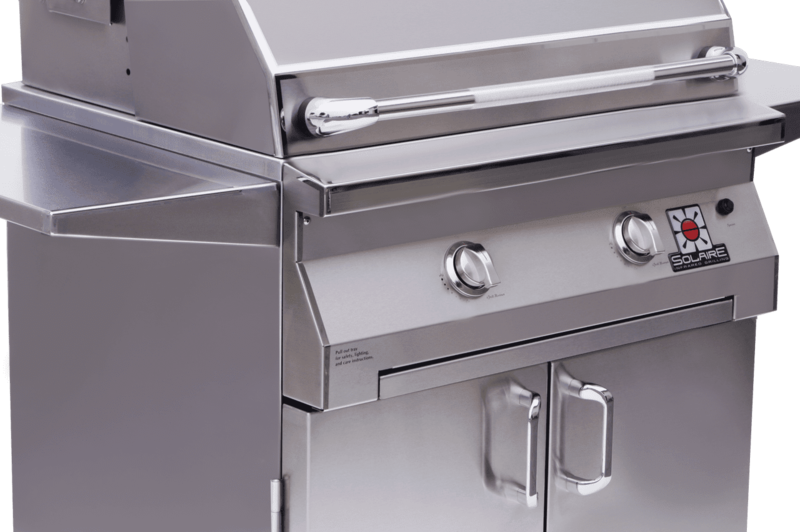 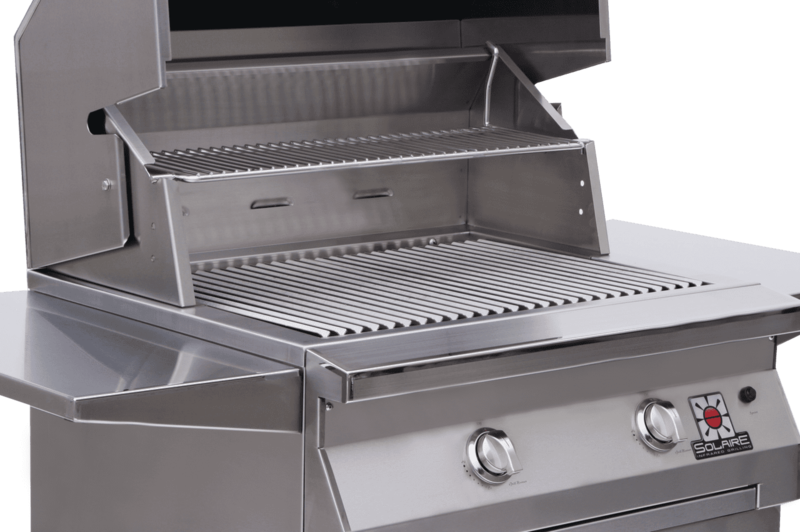 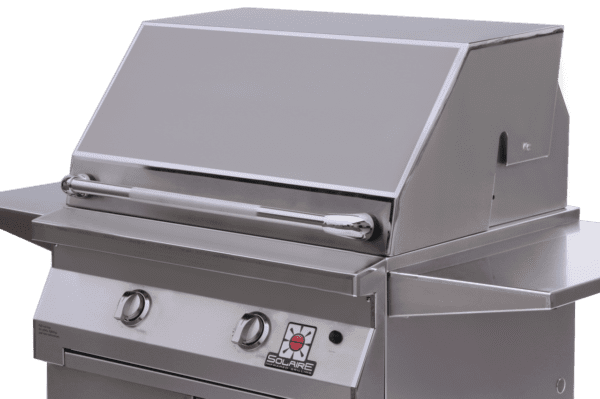 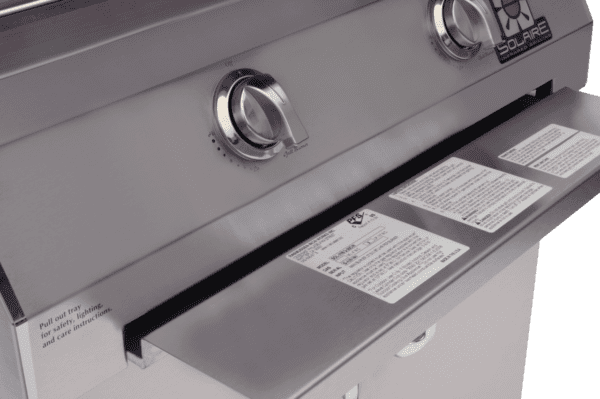 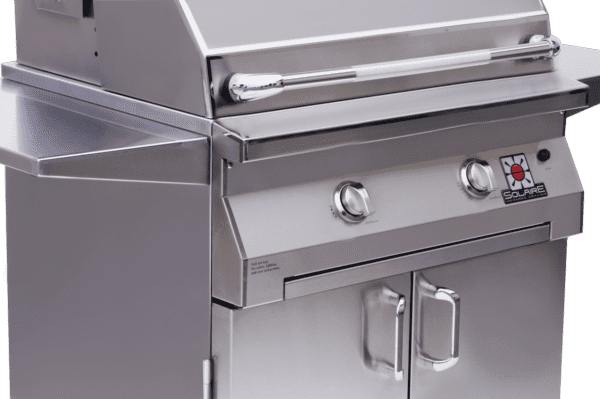 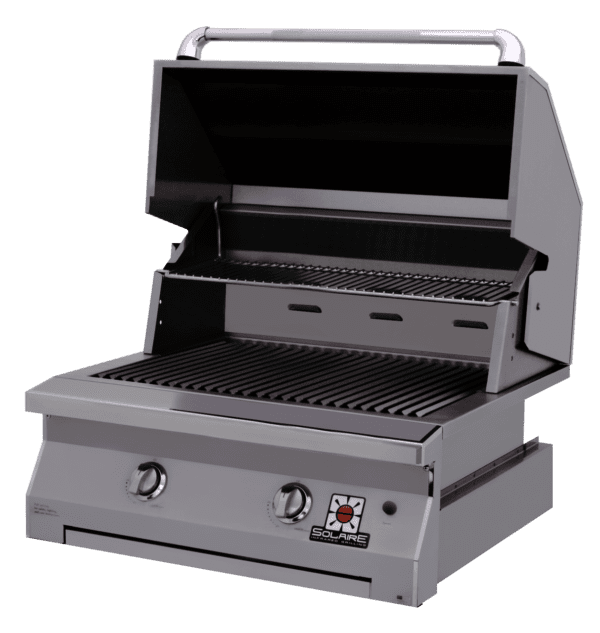 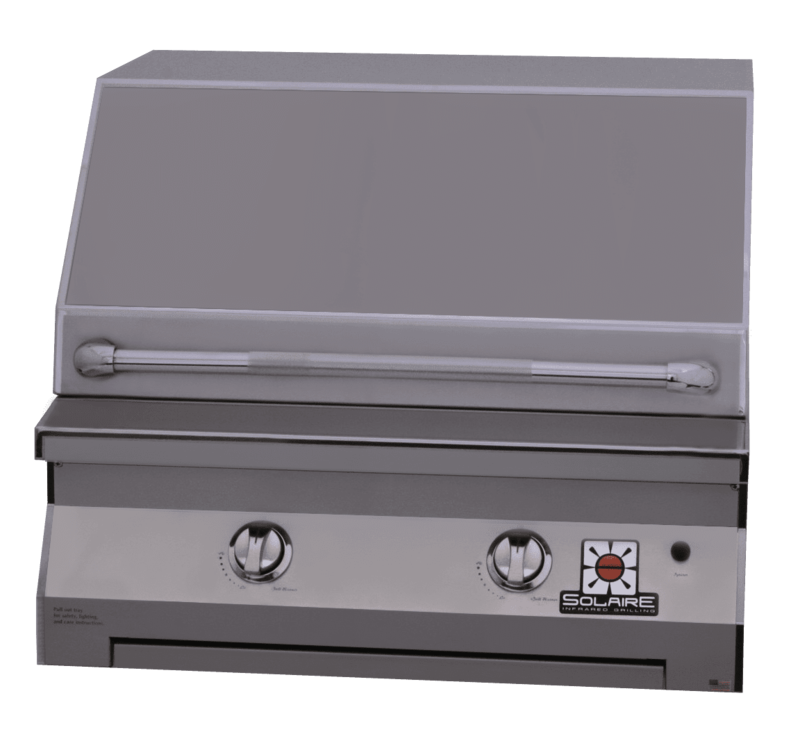 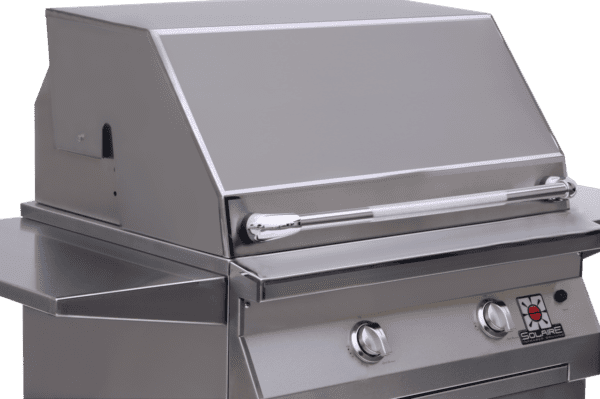 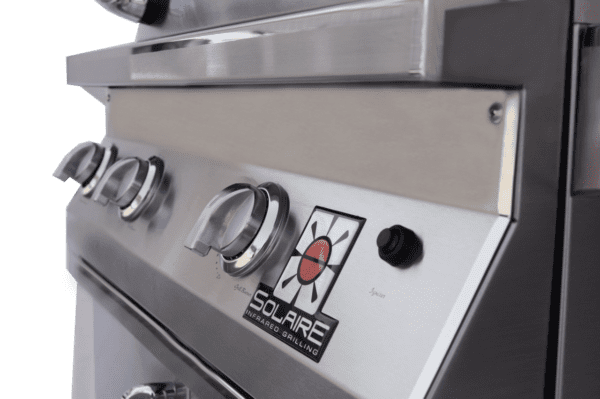 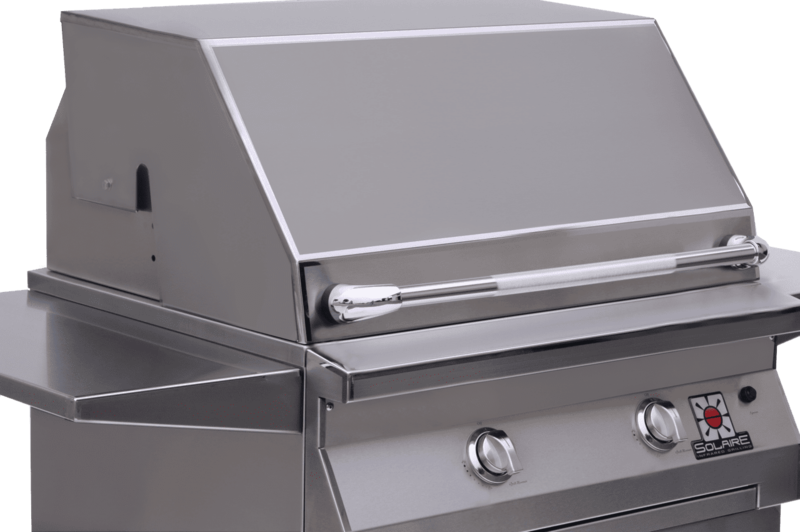 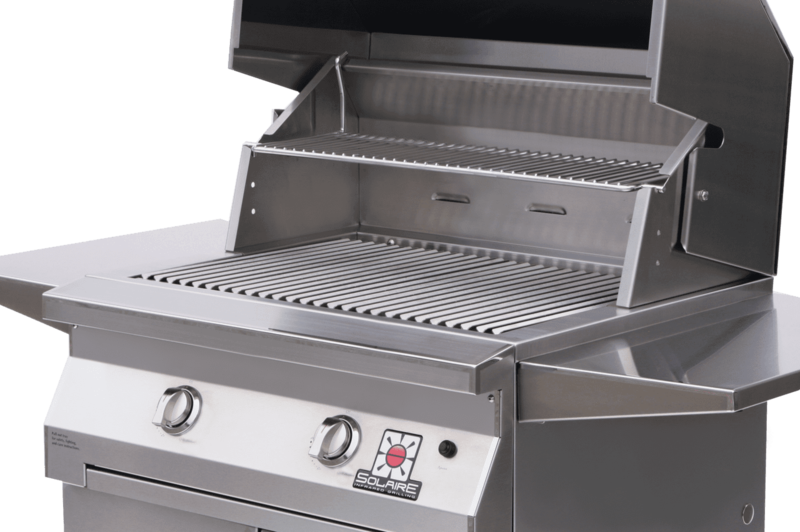 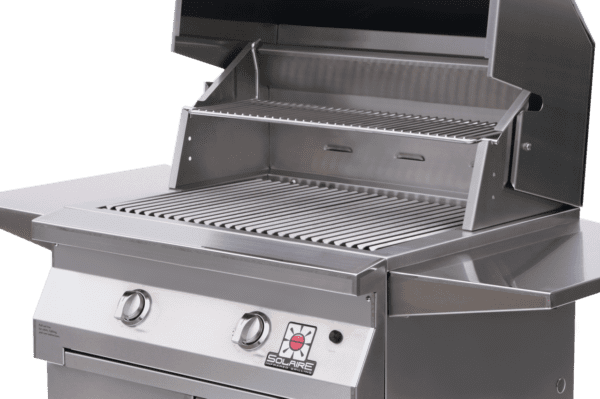 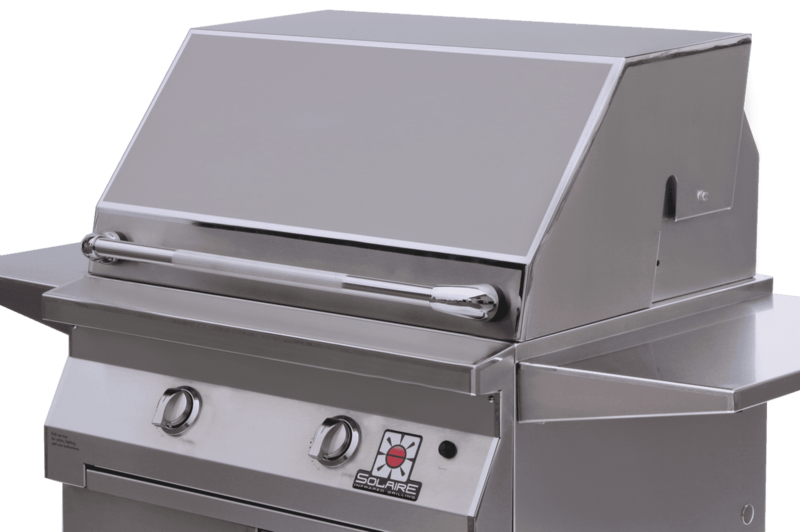 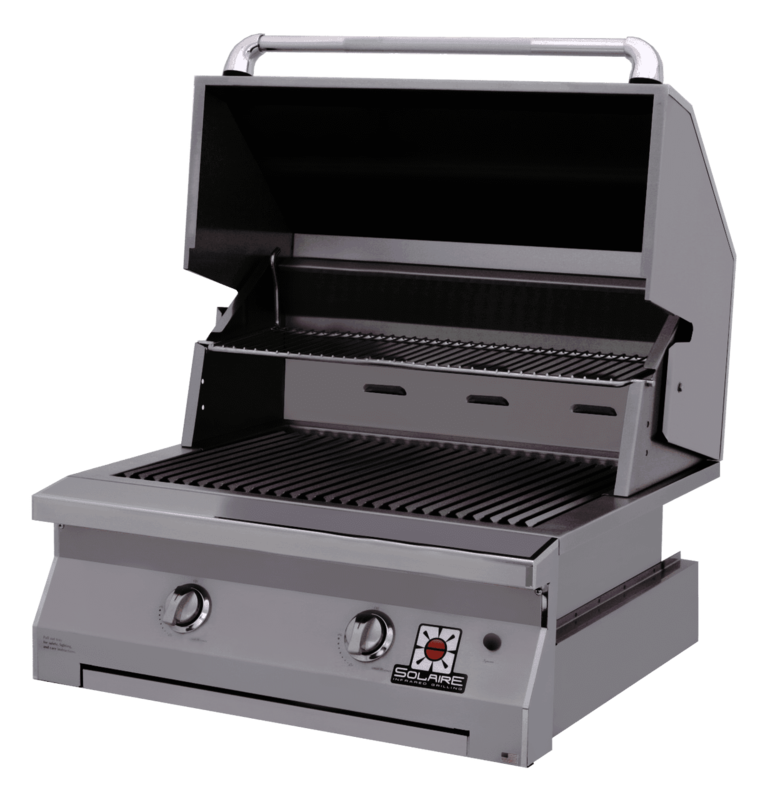 • Accessories available include: Cover (Built-in or Cart (use with post models)), BBQ Tray, Griddle Plate, Wood Chip Smoker, Steamer/Fryer, Insulated Jacket, Infrared Burner, Convection Burner.